The Pendet dance is a very famous Balinese traditional dance to welcome honoured guests such as Kings, Queens, Presidents, Prime Minsiters etc. from other Countries, but now they also welcome tourists. 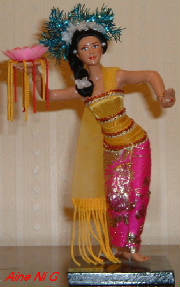 This doll is made of fiberglass and stands 7" in height. 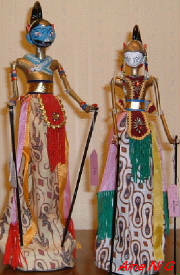 The costume is handwoven with gold and silver threads. The headdress is very unique and beautifully decorated with real flowers, beads and glittering materials. 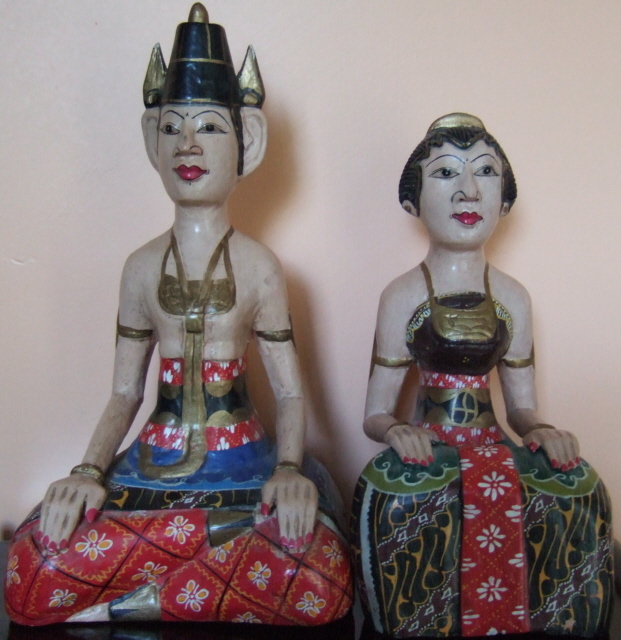 INDONESIAN WOODEN PUPPETS - NAMED "IRAWAN"